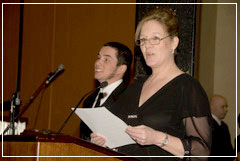 Dixie is passionate about being a mother, writer, fundraiser, public speaker, and advocate for the disabled. She is not just the mother of eight children, she is also the mother of a child who suffered a severe traumatic brain injury. Dixie helps raise awareness and funds for traumatic brain injury through working with both national and local organizations, as well as through many charity events that help benefit children. Dixie has become a writer of caregiving articles, both on the web and in health and medical-related magazines such as the Health Monitor. 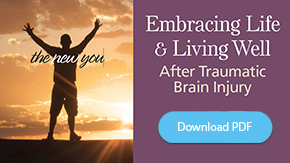 Dixie shares precious tips for other parents who face a traumatic injury or illness. She also provides caregivers support, resources and advice. She recently contributed five tips on stress and caregiving to EMPOWERED PATIENTS on CNN. 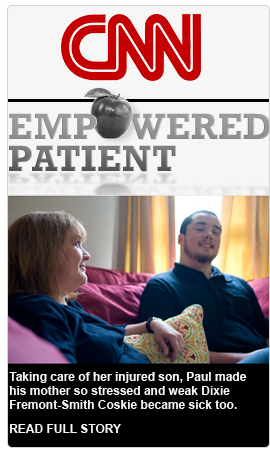 Dixie and her son Paul are engaging, motivational speakers, sharing their inspiring story to give comfort and hope to other families facing serious illness or injury. Their story was also featured in The Saturday Evening Post, and the two have made numerous appearances on TV and radio. Dixie recently won an honorable mention in the trade category of the book proposal contest held in conjunction with Harvard Medical School’s Continuing Medical Education Course titled “Publishing Books, Memoirs and Other Creative Nonfiction.” To reach an even wider audience and to help others who unexpectedly find themselves thrown into extreme medical situations, Dixie wrote Unthinkable—A Mother’s Tragedy, Terror and Triumph through a Child’s Traumatic Brain Injury. Its very real story offers insight into the heart and mind of a mother’s soul as she tries to make sense of her new and altered world after her child’s brain injury. 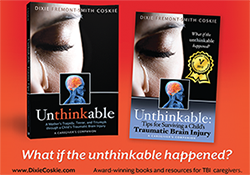 And as a companion for any caregiver she also wrote Unthinkable: Tips for Surviving a Childs Traumatic Brain Injury, which gives both parents and healthcare professionals practical tips and tools to help them better navigate the doctor/nurse/therapist/patient relationship, and ultimately to cope and survive through TBI. Unthinkable won FIRST in the 2012 ReaderViews’ Health/Fitness category. First in the 2012 Polka Dot Banner Literary Awards – Best Health Book! Dixie attended Pine Manor College and has worked as a teacher’s aide at the Massachusetts Association for the Blind and Deaf and at the Kennedy Day School in Brighton, Massachusetts working with emotionally challenged children. Dixie also currently works as a Personal Response Associate for a medical alert company, helping those in need. Dixie lives in Upton MA. with her husband and eight awesome children. Wyatt – MacKenzie Publishing, Inc.